We understand that the primary purpose of schools and centres of further education is to educate – maintenance and improvements to school buildings is a necessary hindrance. Our contract team take time to identify the correct person within the school team with whom to liaise and work with ….. sometimes it’s the Head Teacher, sometimes it’s the caretaker and sometimes it’s the bursar, but in all cases, it’s our approach and rapport with the key people that means we can be responsive, attentive and able to work with as little disruption to school timetables as possible. All our workforce have DBS certificates and we use the NUT’s guidance on the legal requirements and desired good practise for construction work in schools, as our minimum standard. We have worked in a number of primary and secondary schools, E-ACT Academy’s and, Birmingham City University. We are also an approved contractor for Aston University. 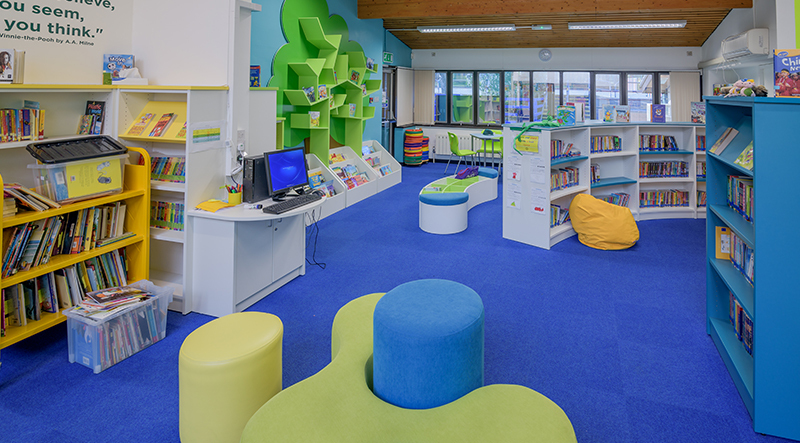 Our contracts are both small and large, ranging from responsive repair work at Brookvale School, Birmingham to the construction of a library at Mansfield Green School, Birmingham. Our largest project was the refurbishment of the Students Union bar at Birmingham City University. As a small/medium sized company, we have often been challenged by the stringent requirements and demands of pre-qualification documents but we have worked hard to overcome these difficulties and now have sufficient experience and understanding to be considered ready and able for all sizes and types of projects. Evolve Shopfitting Ltd.. we used this company to renovate our caretakers house into teaching areas. They completed all works to a very high standard. They were amenable at all stages of the project as changes were needed. The guys were efficient, hard-working, polite and a pleasure to work with. We would have no hesitation in recommending them for any projects small or large that your business may need.